Ollantaytambo is one of the most important towns of the Sacred Valley of the Incas in Cusco. 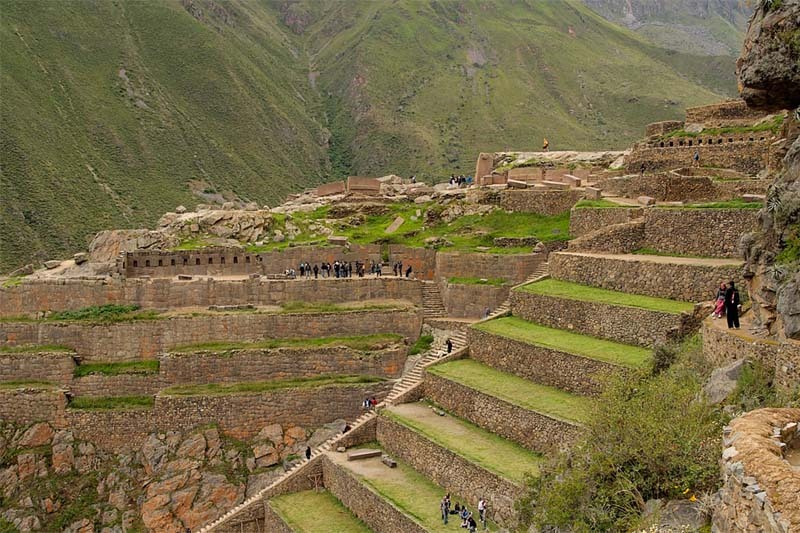 It is the only place that preserves its old Inca urban design. Because it is a must before reaching Machu Picchu is very visited. However, ‘Ollanta’ has its own charms. The main one of all are its Inca archaeological remains. What to see in the archaeological site of Ollantaytambo? How to buy the tourist ticket to enter Ollantaytambo? Ollantaytambo is the only Inca town that is still inhabited. 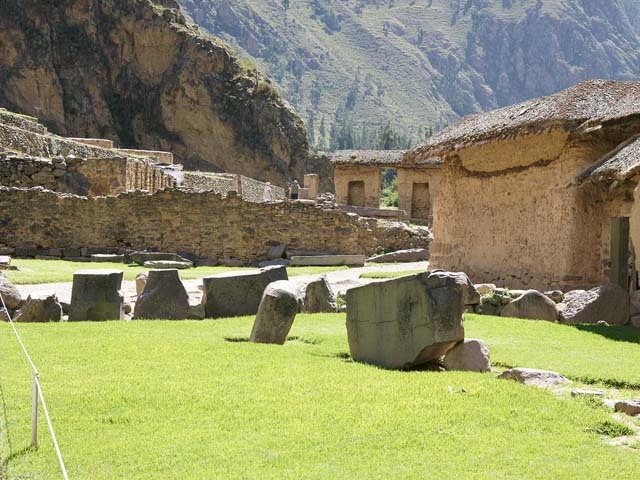 Its stone streets preserve the Inca architecture combined with temples and colonial squares. It is presumed that it was the Inca Pachacutec (1438-1471) who ordered the construction of Ollantaytambo. Today, this picturesque town is a must for tourists visiting Machu Picchu. Ollantaytambo is known as the ‘Living Inca City’. Its inhabitants maintain some of the traditions inherited by their Inca ancestors. Its main tourist attraction is the archaeological site (also called fortress) located next to the town. Currently the town is conditioned to receive tourism. Around the Main Square of Ollantaytambo and in the town there are restaurants, hotels, bars, cafes and other services that invite the visitor. Ollantaytambo is at the opposite end of the town of Pisac (80 kilometers from the city of Cusco). It is reached by the Chinchero – Urubamba road or by train (km 68). The town is 2,700 meters above sea level (msnm) and houses some of the most amazing Inca buildings in Peru. 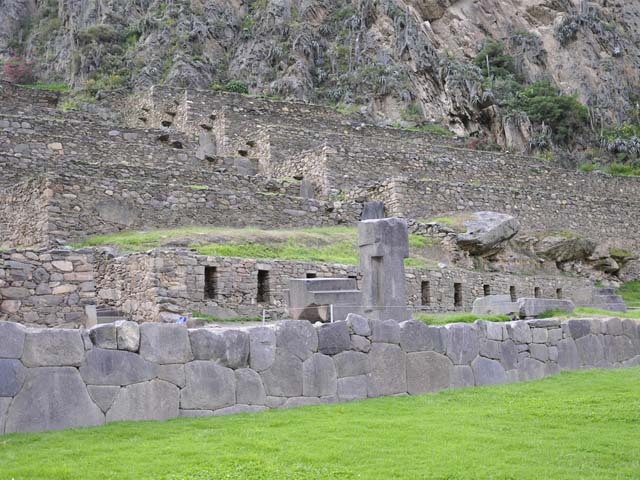 Did you know that the space of the archaeological complex of Ollantaytambo is co-founded with the town since many Inca channels are still in use. The word Ollantaytambo derives from the Quechua word ‘Ulla-nta-wi’ which means “place to see down”. According to the Quechua culture, the name comes from ‘Ollanta’, the name of an Inca captain protagonist of the Quechua drama ‘Ollantay’. The Spanish derivation of the Quechua word ‘Tambo’ means “City that provides accommodation, food or comfort for travelers”. 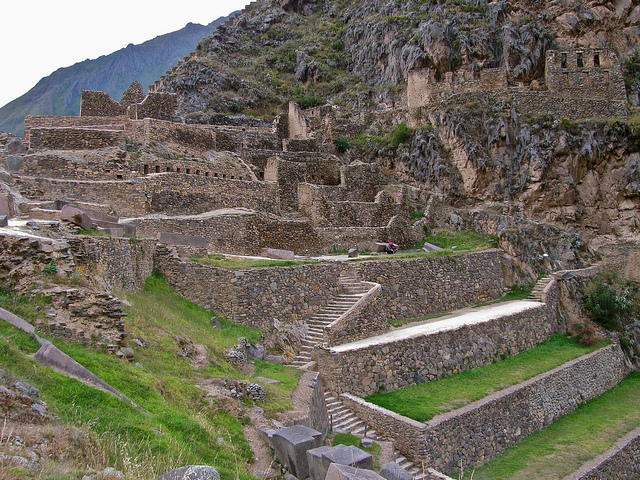 The archaeological complex of Ollantaytambo was a military, religious and agricultural center. This fabulous architectural setting is interesting because of the size, originality and detail of its structures. 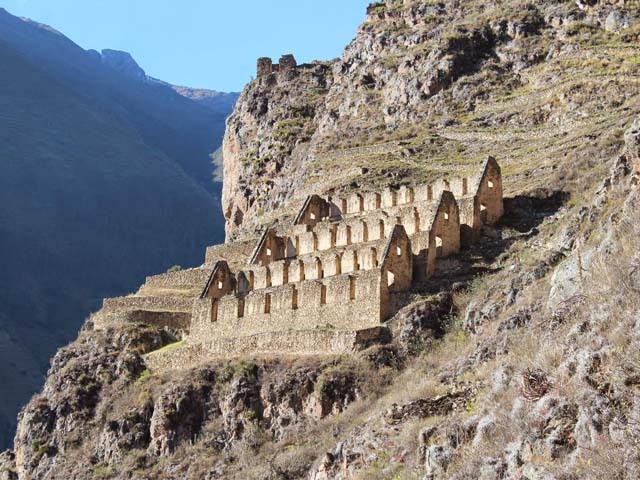 Ollantaytambo has beautiful Inca lithic structures. Because it was the scene of hard battles between rebellious Incas and Spanish in 1537, many of its buildings are damaged or destroyed. Even so, the site still conserves the magic and history of many centuries ago. The Real Casa del Sol is made up of 17 very large superimposed terraces facing the main square of the town. Choqana is a Quechua word meaning “where it is knocked down or thrown”. It is located 2 kilometers from Ollantaytambo. It served as an administrative center, checkpoint and strong. Its name means in Quechua ‘Plaza of the petitions’. It is located on the right side of the Patakancha stream next to the entrance door of the archaeological site. Its walls have many openings that, it is believed, would be doors. This impressive monolith formed of 6 pieces is almost completely destroyed. However, it is still one of the most beautiful pieces of Ollantaytambo. The 6 huge rocks that form the western wall are coupled with incredible accuracy. This construction is located at the end of the upper group of platforms. Its walls are constituted by two stone canvases polished with great precision. This site was damaged during the Spanish conquest. It is one of the most popular in ‘Ollanta’. It is a beautiful fountain with 3 outlets of water sculpted inside. They are known as liturgical sources and could be found in the main cities of the Inca Empire. 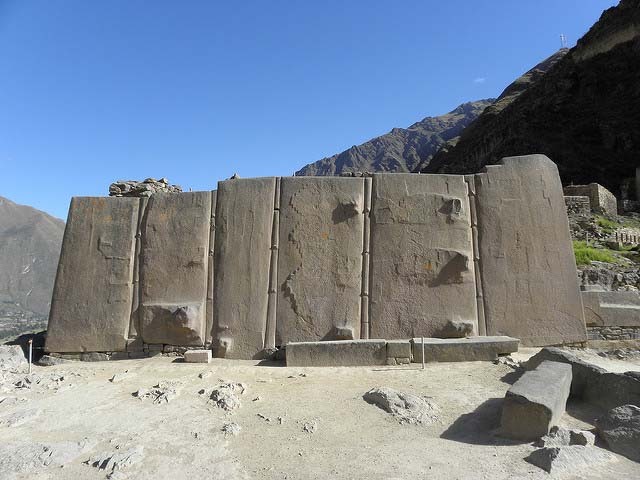 In Ollantaytambo we find groups of parallel platforms. They have parameters inclined towards the hill with rungs that come embedded in their walls. They can be seen at a great distance. 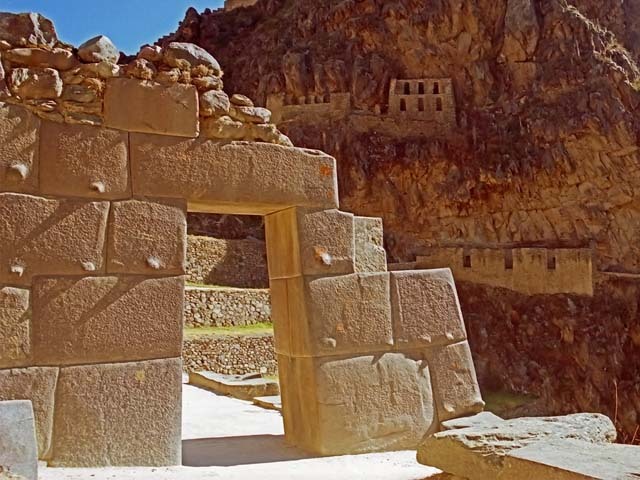 The entrance to Ollantaytambo is included in the Tourist Ticket of Cusco. 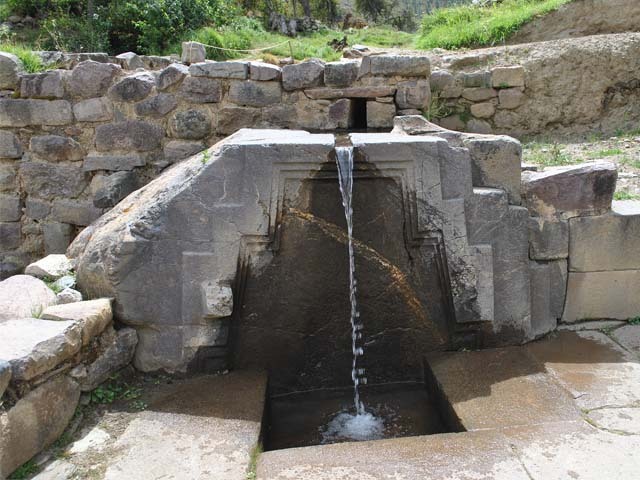 This entry includes access to this and other tourist attractions such as: Pisac, Sacsayhuaman and Coricancha. The Tourist Ticket of Cusco can be purchased in the authorized offices of Cusco. Avenue El Sol 103, Cusco. (Tourist Galleries of. 101). At the door of the same archaeological sites (Sacsayhuaman, Coricancha, Ollantaytambo). You can choose to buy the Tourist Ticket ‘complete’ or ‘partial’. So, you can choose a certain group of places you want to visit. Keep in mind that buying the tickets for each site separately represents a greater expense. 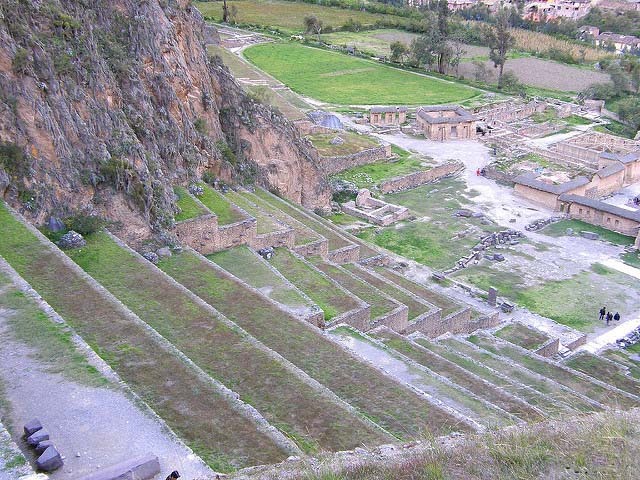 Hours of service ‘Ollantaytambo archaeological site’: from 7 am to 6 pm (every day of the week). Note: Try to arrive early in the morning. This will avoid the tourist groups that start arriving from 11 a.m. In the Ollantaytambo compound, the rebel Incas faced the Spanish conquerors in 1537. ‘Ollanta’ served as a fortress and main headquarters of the rebel Inca army led by Manco Inca. On the slopes of Cerro Pinkuylluna (in front of the Citadel of Ollantaytambo) the Incas built stores of provisions also known as ‘colcas’. Currently, the starting point to the Inca Trail to Machu Picchu is located just 15 kilometers from the archaeological site of Ollantaytambo. At the end of June the ‘Ollantay Raymi’, a staging of the drama ‘Ollantay’, takes place in Ollantaytambo. 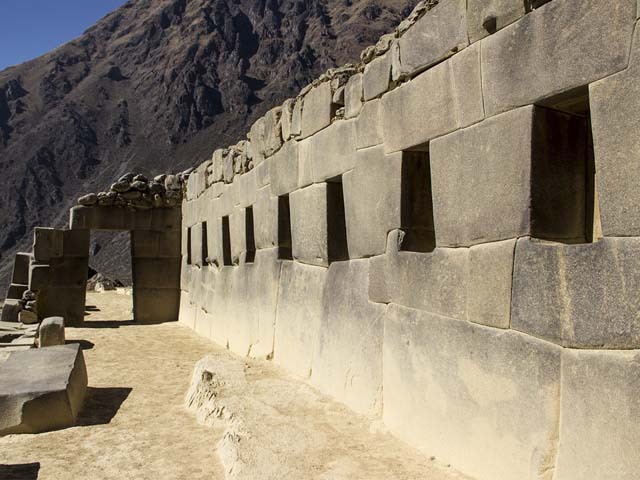 According to an investigation, Ollantaytambo is geographically aligned with other important archaeological sites of the world such as Machu Picchu, Easter Island (Chile), the Pyramids of Giza (Egypt) and others. ← What to see in the Sacred Valley of the Incas?